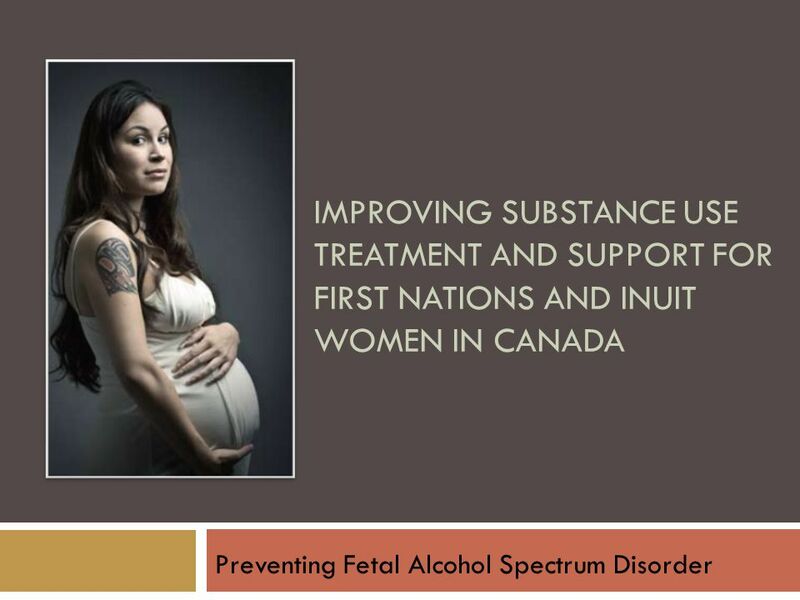 IMPROVING SUBSTANCE USE TREATMENT AND SUPPORT FOR FIRST NATIONS AND INUIT WOMEN IN CANADA Preventing Fetal Alcohol Spectrum Disorder. 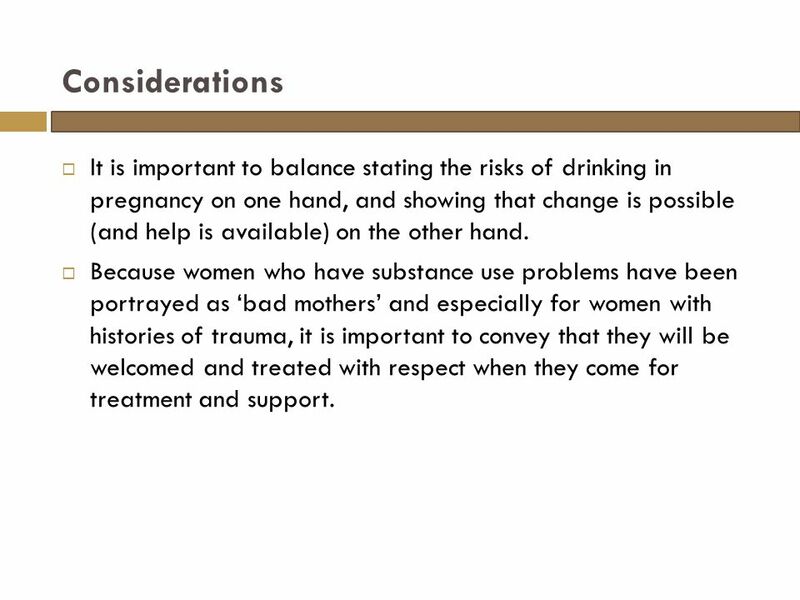 17 Considerations  It is important to balance stating the risks of drinking in pregnancy on one hand, and showing that change is possible (and help is available) on the other hand. 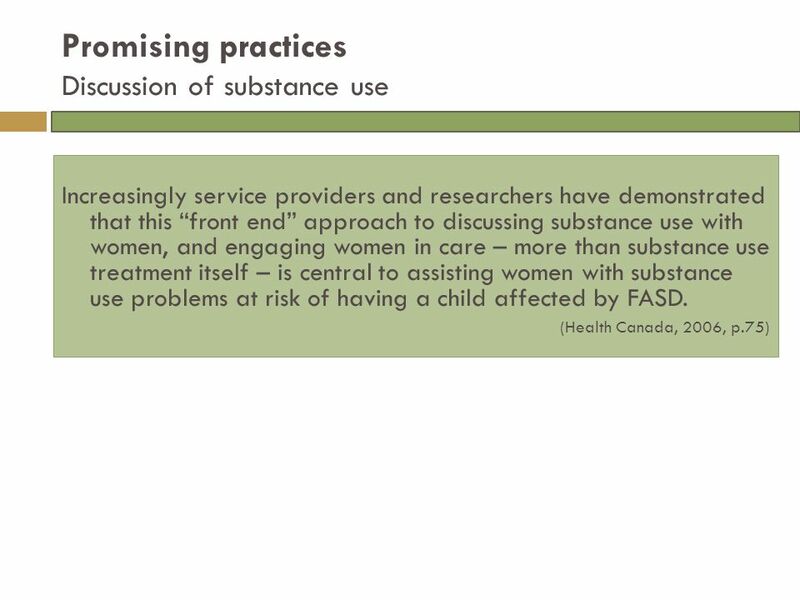  Because women who have substance use problems have been portrayed as ‘bad mothers’ and especially for women with histories of trauma, it is important to convey that they will be welcomed and treated with respect when they come for treatment and support. 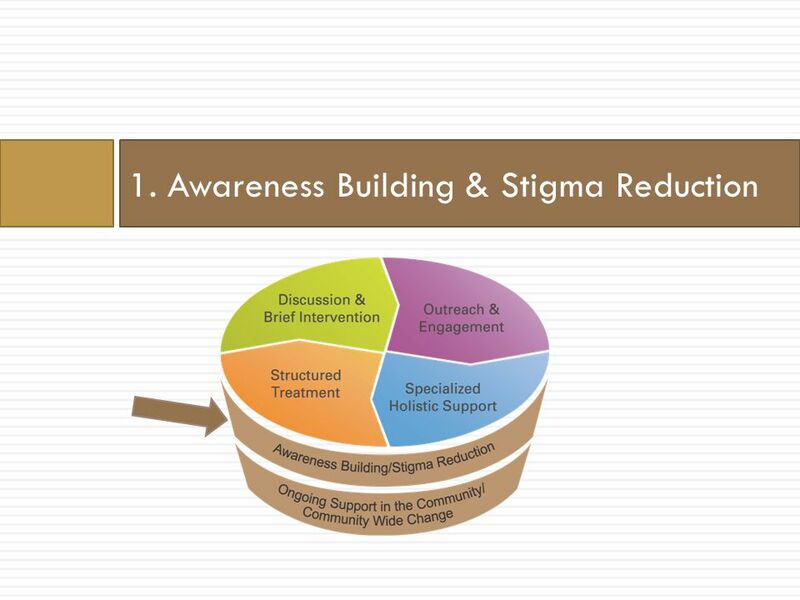 18 Promising practices Awareness building and stigma reduction Creating broad based community development and inclusion programs have shown promise in building awareness and reducing stigma. 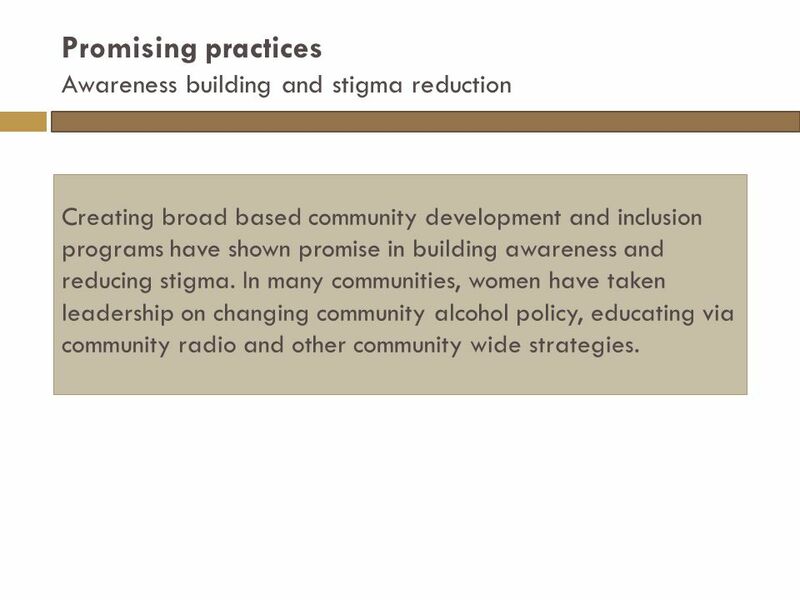 In many communities, women have taken leadership on changing community alcohol policy, educating via community radio and other community wide strategies. 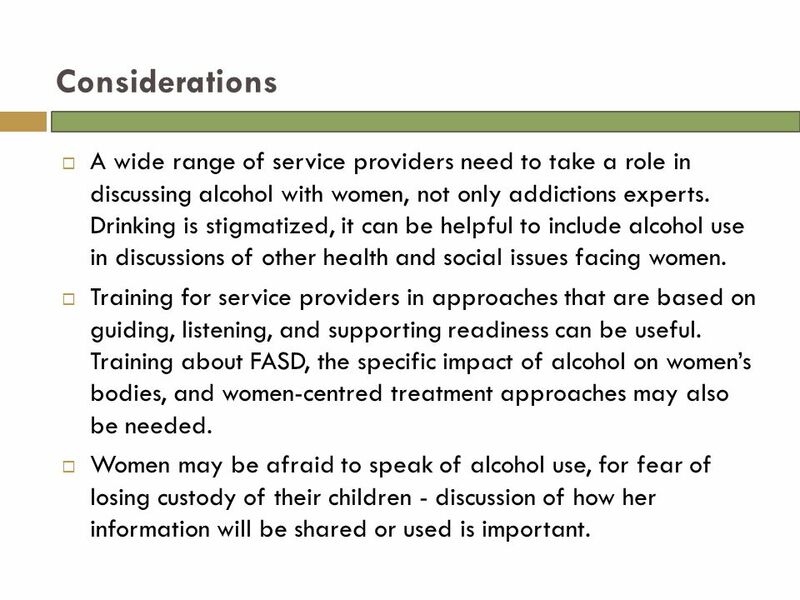 21 Considerations  A wide range of service providers need to take a role in discussing alcohol with women, not only addictions experts. 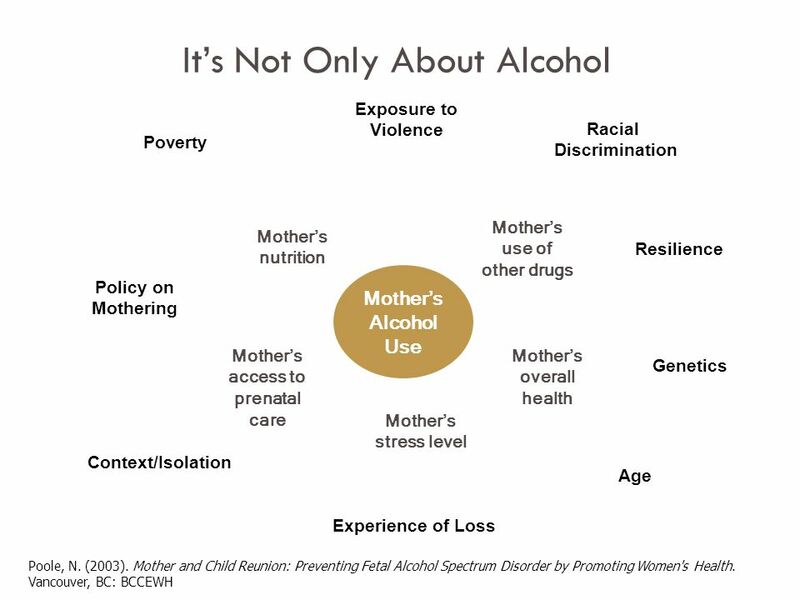 Drinking is stigmatized, it can be helpful to include alcohol use in discussions of other health and social issues facing women. 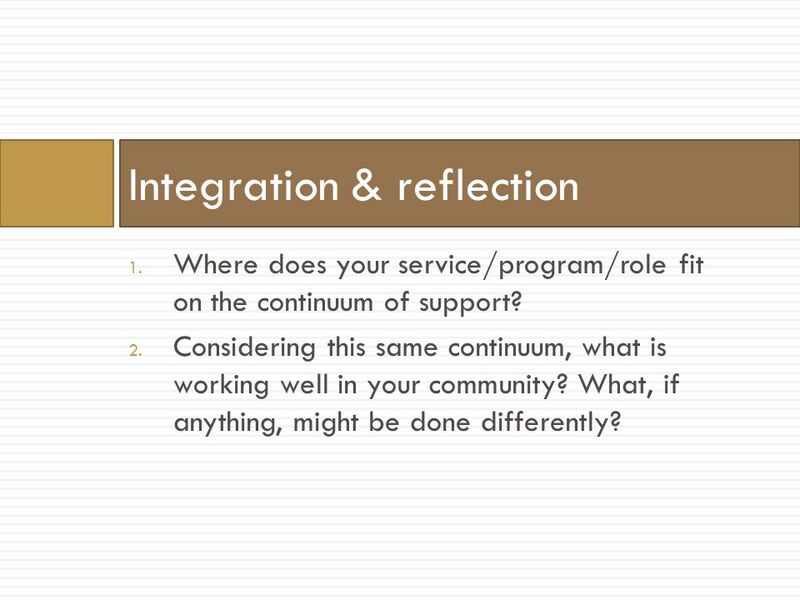  Training for service providers in approaches that are based on guiding, listening, and supporting readiness can be useful. 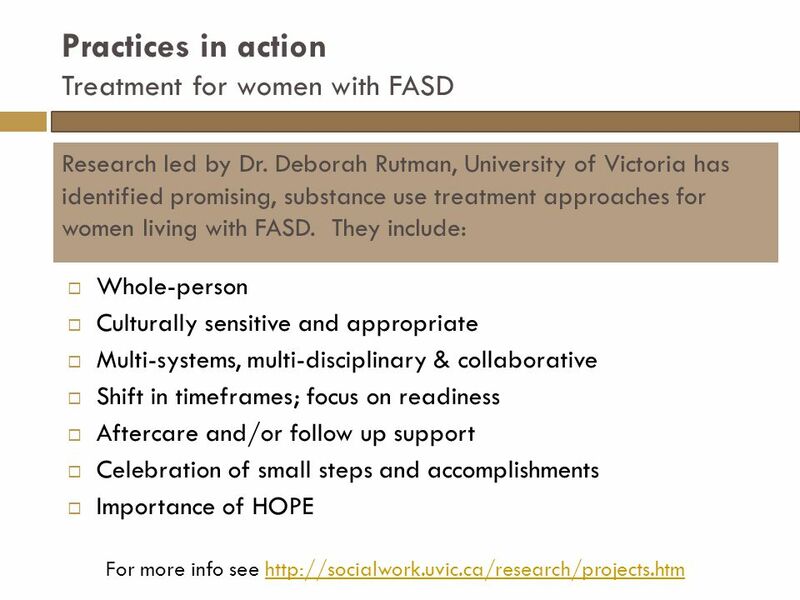 Training about FASD, the specific impact of alcohol on women’s bodies, and women-centred treatment approaches may also be needed. 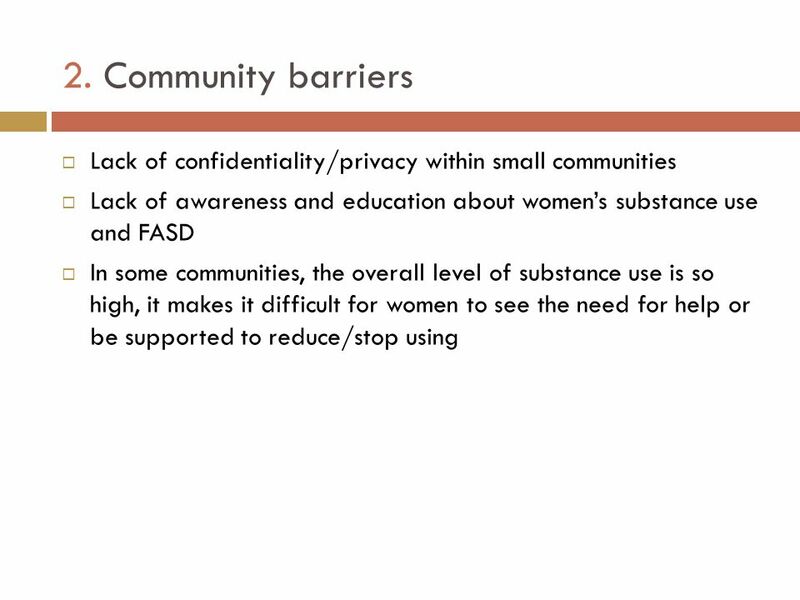  Women may be afraid to speak of alcohol use, for fear of losing custody of their children - discussion of how her information will be shared or used is important. 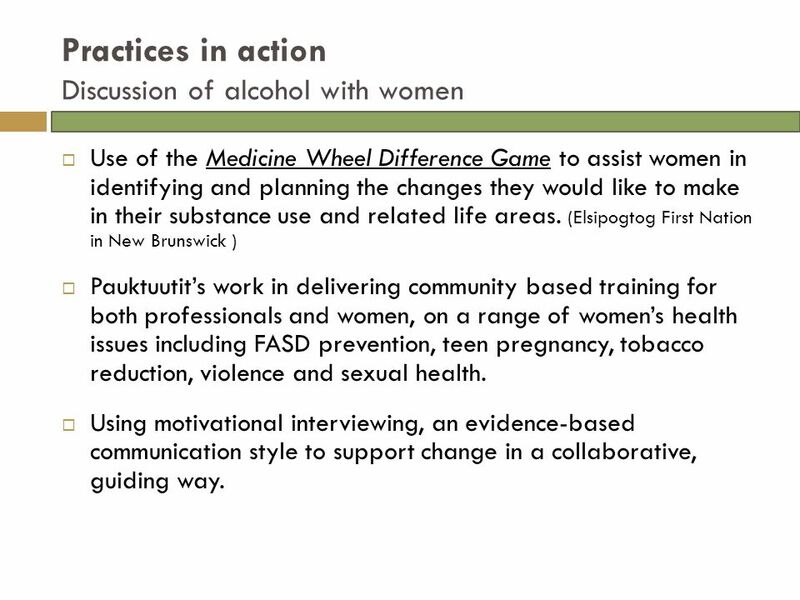 23 Practices in action Discussion of alcohol with women  Use of the Medicine Wheel Difference Game to assist women in identifying and planning the changes they would like to make in their substance use and related life areas. 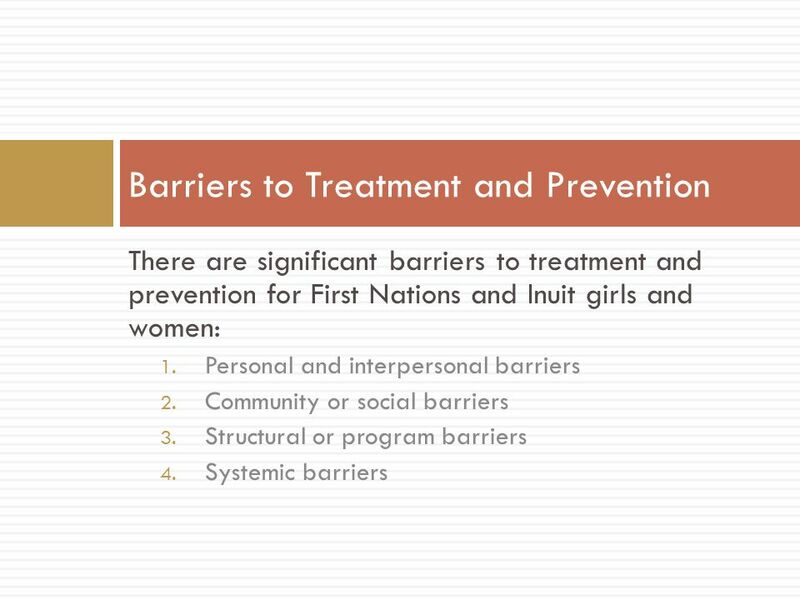 (Elsipogtog First Nation in New Brunswick )  Pauktuutit’s work in delivering community based training for both professionals and women, on a range of women’s health issues including FASD prevention, teen pregnancy, tobacco reduction, violence and sexual health. 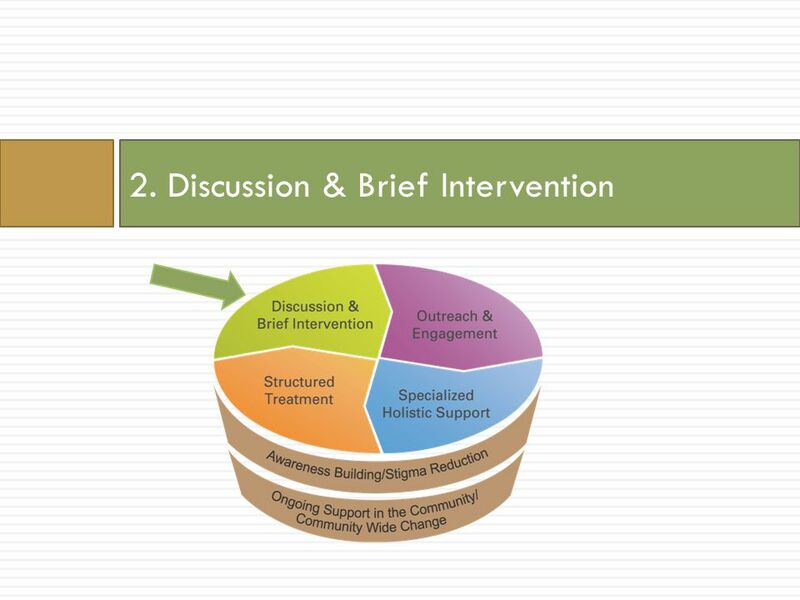  Using motivational interviewing, an evidence-based communication style to support change in a collaborative, guiding way. 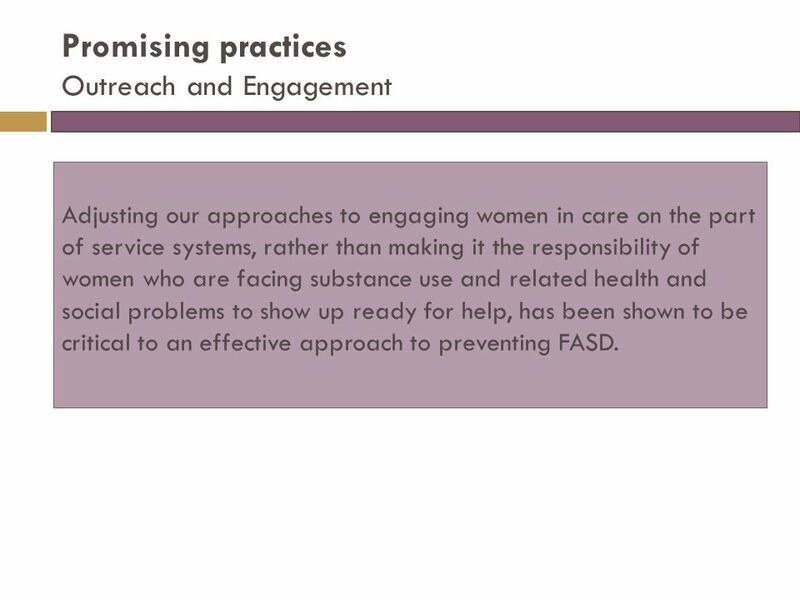 26 Promising practices Outreach and Engagement Adjusting our approaches to engaging women in care on the part of service systems, rather than making it the responsibility of women who are facing substance use and related health and social problems to show up ready for help, has been shown to be critical to an effective approach to preventing FASD. 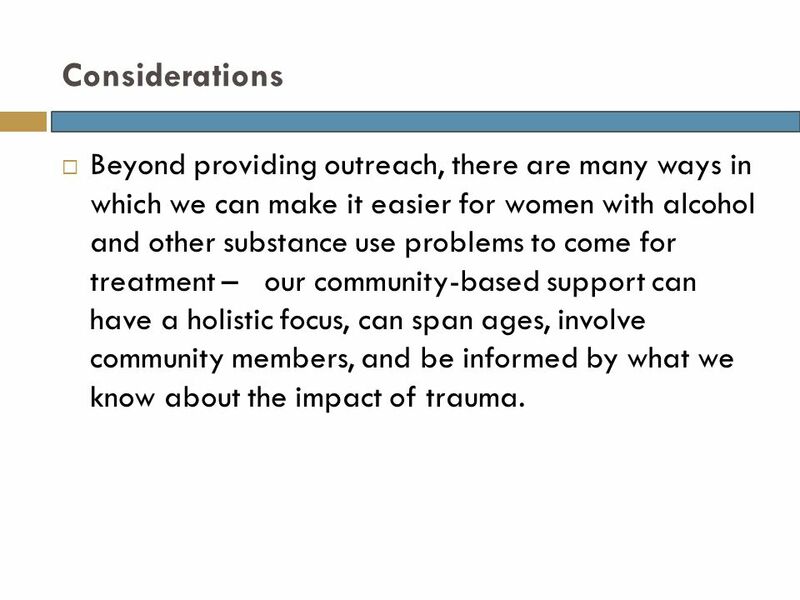 30 Considerations  Beyond providing outreach, there are many ways in which we can make it easier for women with alcohol and other substance use problems to come for treatment – our community-based support can have a holistic focus, can span ages, involve community members, and be informed by what we know about the impact of trauma. 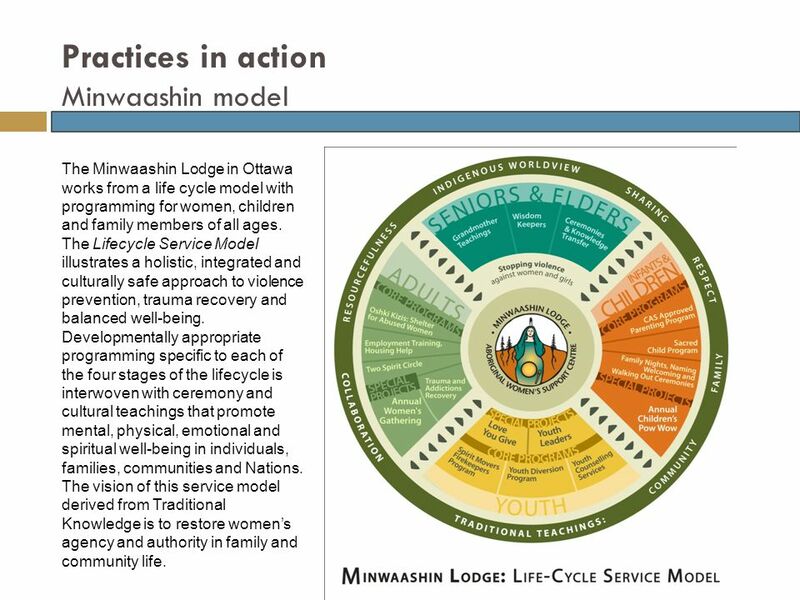 32 Practices in action Minwaashin model The Minwaashin Lodge in Ottawa works from a life cycle model with programming for women, children and family members of all ages. 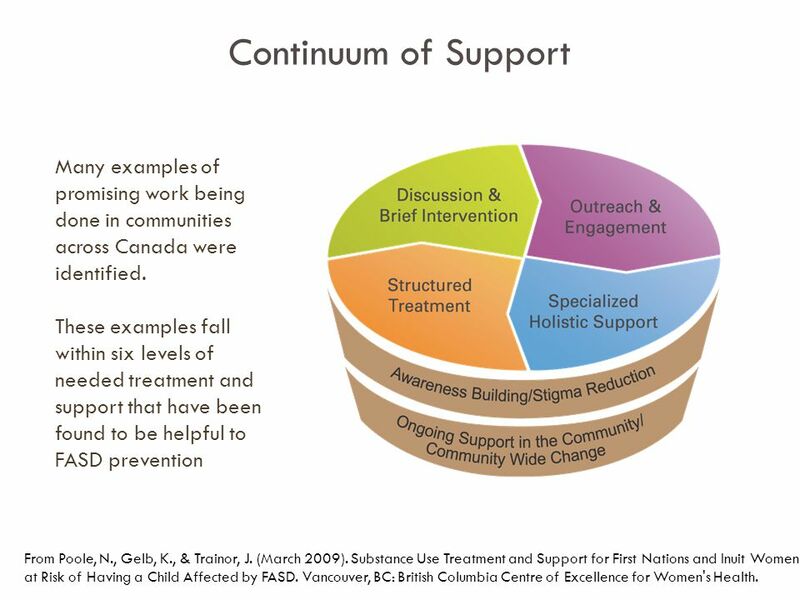 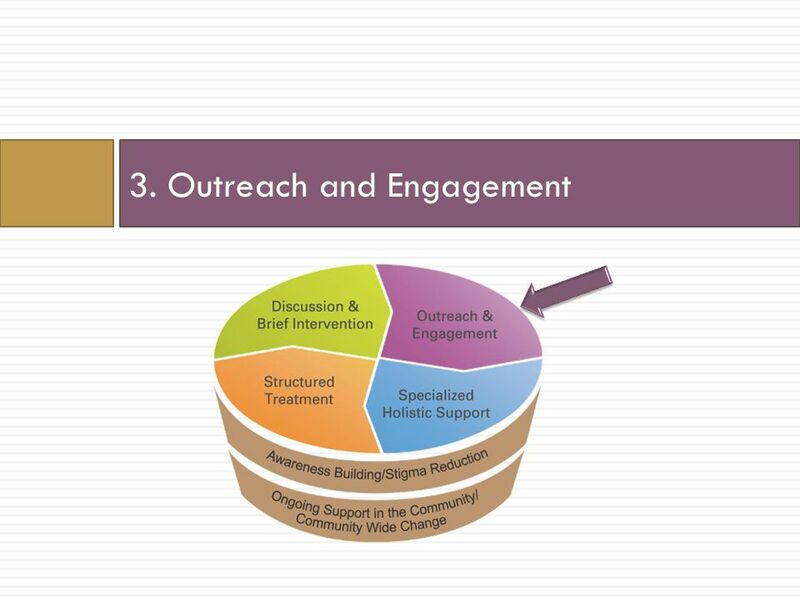 The Lifecycle Service Model illustrates a holistic, integrated and culturally safe approach to violence prevention, trauma recovery and balanced well-being. 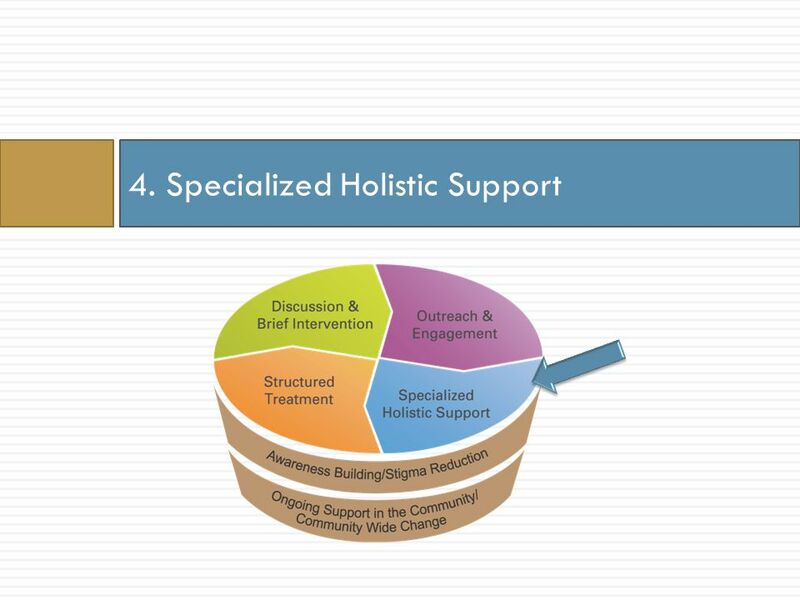 Developmentally appropriate programming specific to each of the four stages of the lifecycle is interwoven with ceremony and cultural teachings that promote mental, physical, emotional and spiritual well-being in individuals, families, communities and Nations. 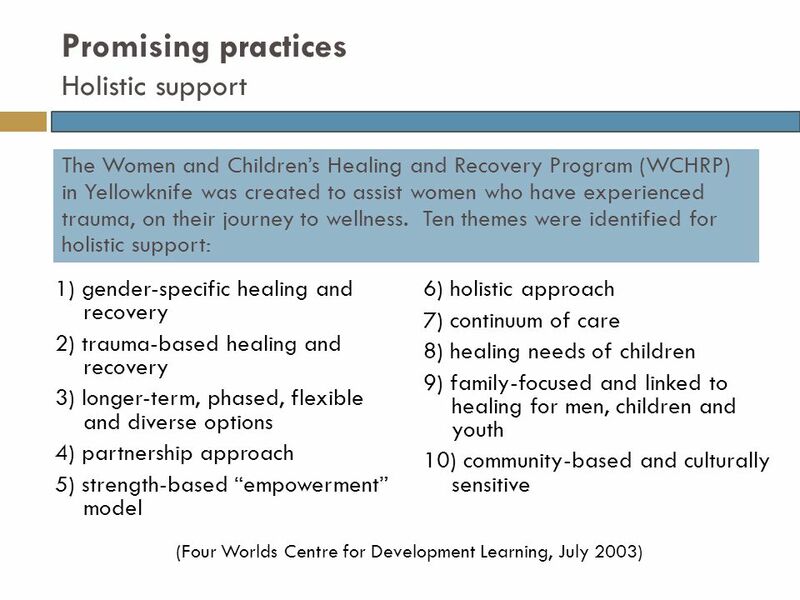 The vision of this service model derived from Traditional Knowledge is to restore women’s agency and authority in family and community life. 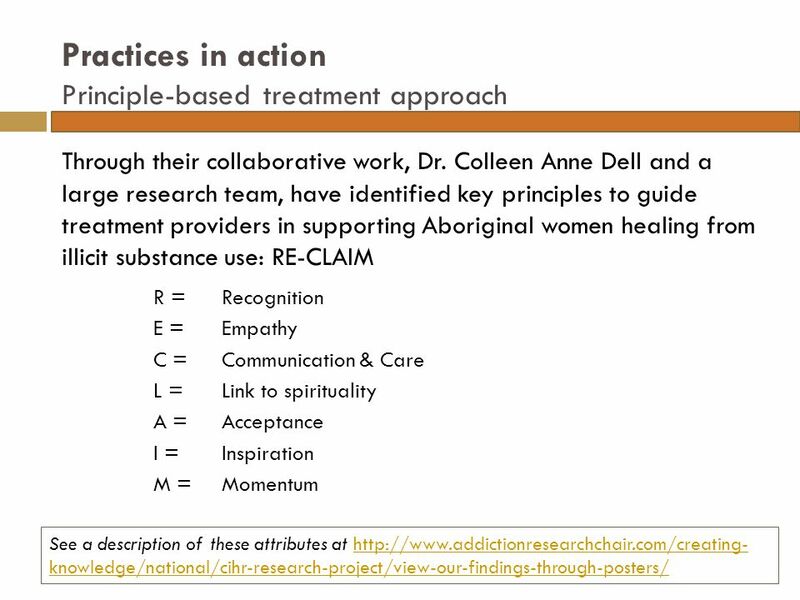 35 Promising practices Structured Treatment Structured treatment can also include day, mobile, land-based and residential treatment. 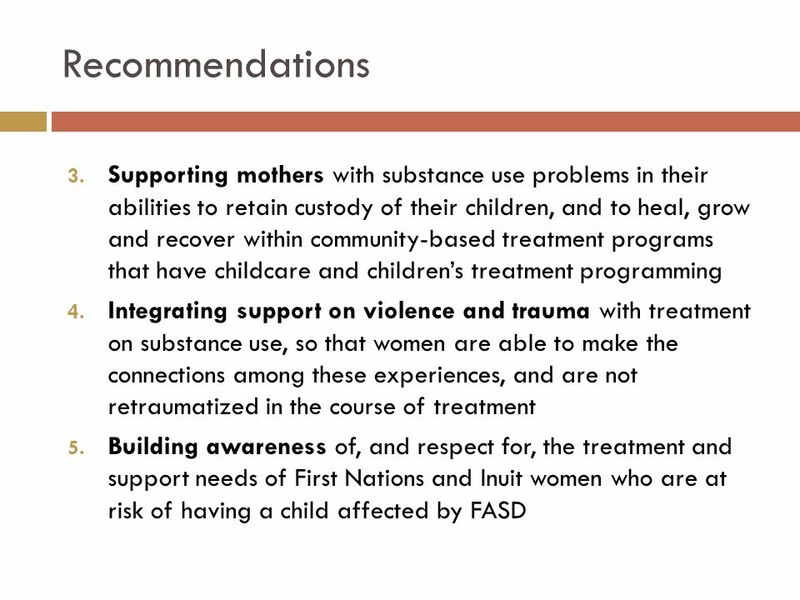 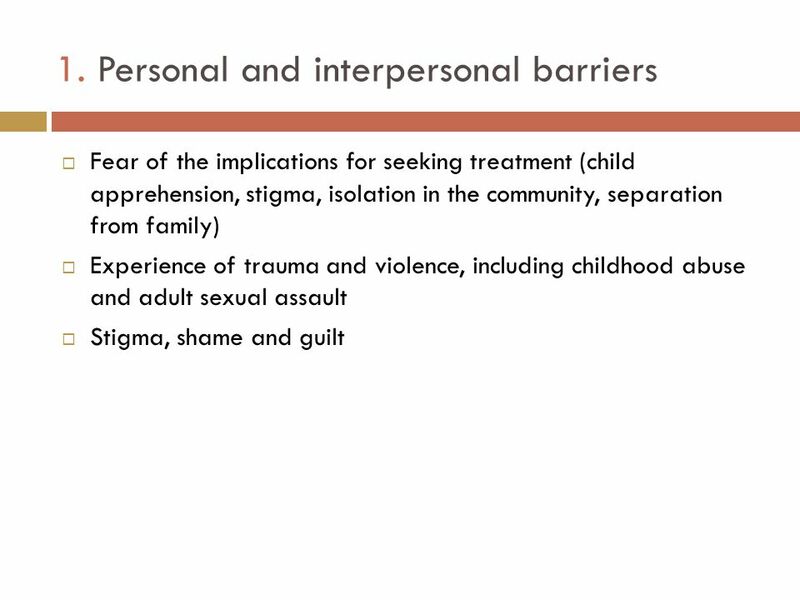 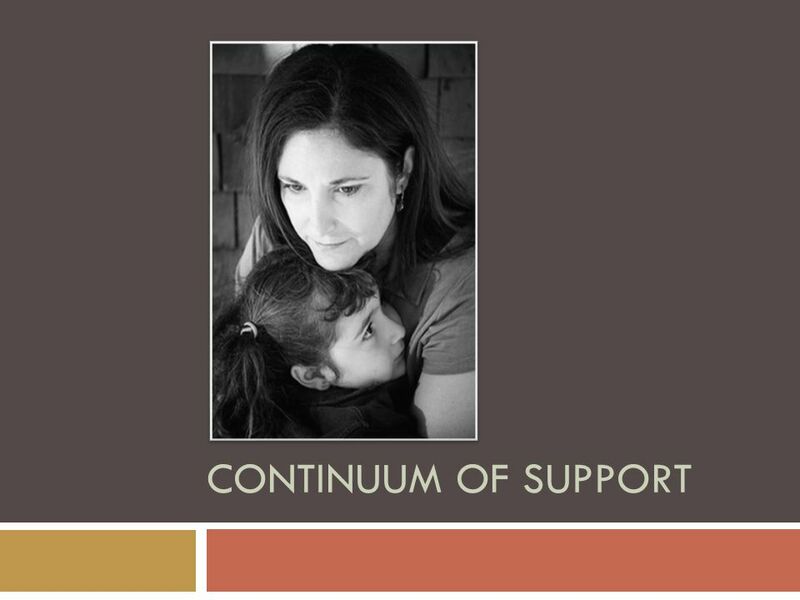 Women need access to treatment on the community level (and beyond) which: o includes cultural components; o addresses coexisting trauma/violence and mental health concerns with addictions; and o links the support of mothers with their children. 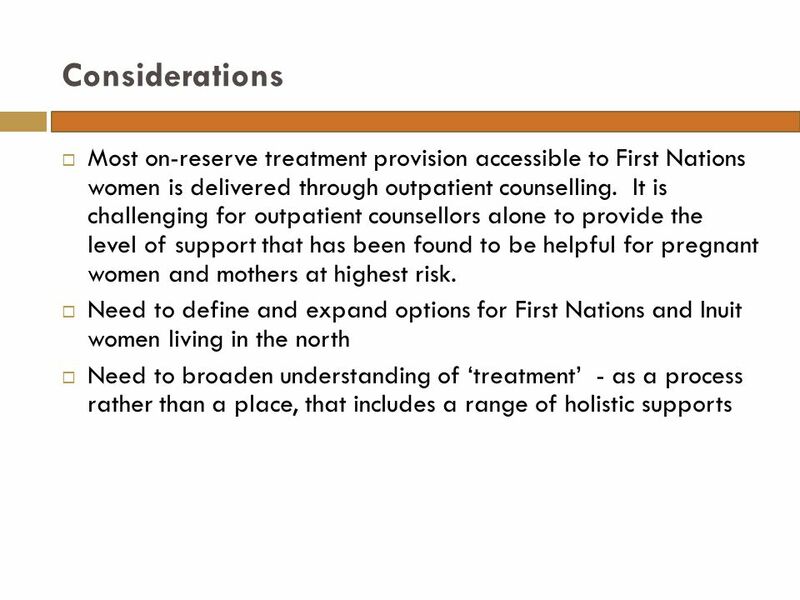 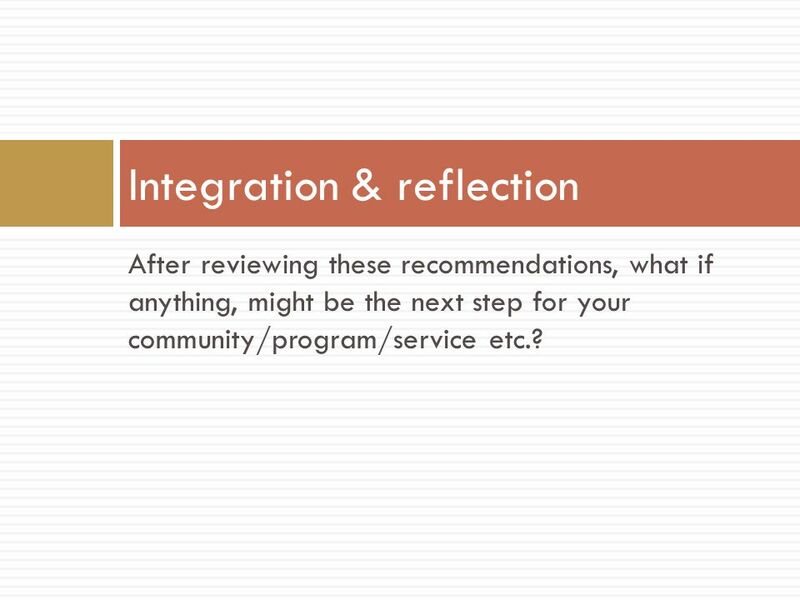 43 Recommendations Recommendations were made in 5 areas: 1. 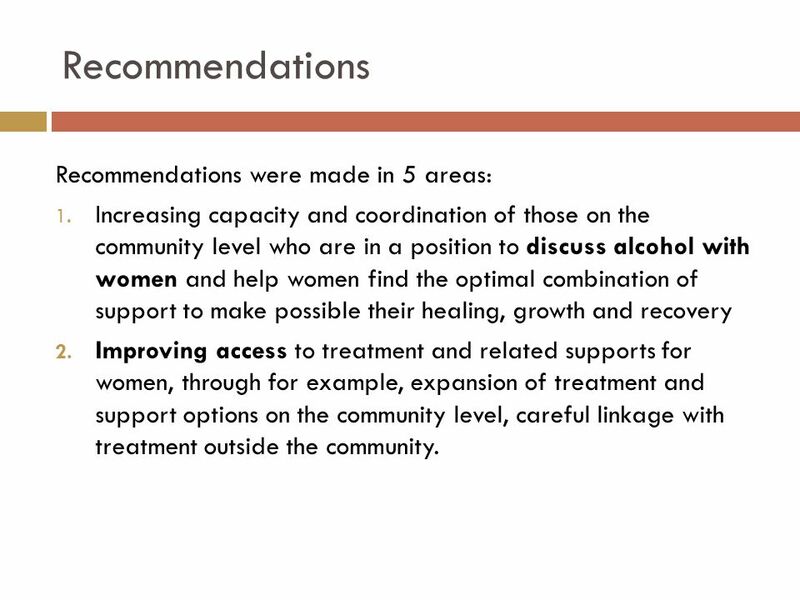 Increasing capacity and coordination of those on the community level who are in a position to discuss alcohol with women and help women find the optimal combination of support to make possible their healing, growth and recovery 2. 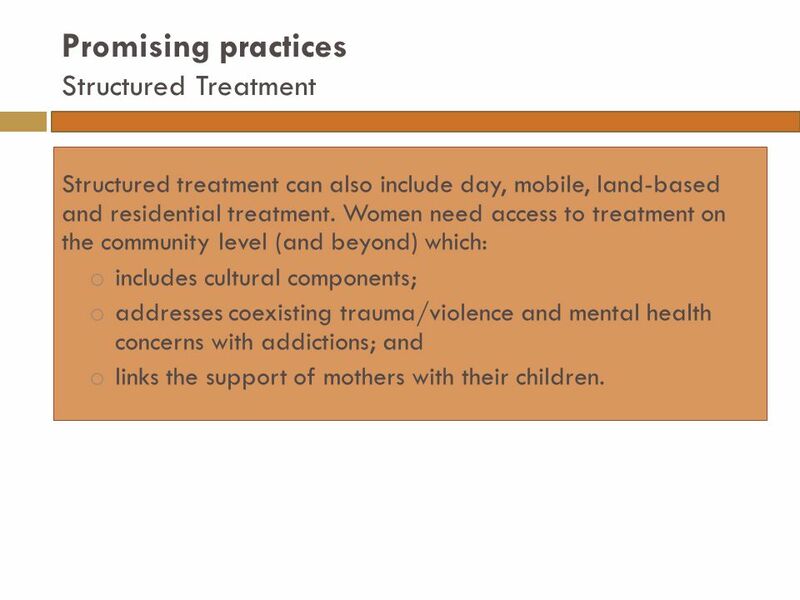 Improving access to treatment and related supports for women, through for example, expansion of treatment and support options on the community level, careful linkage with treatment outside the community. 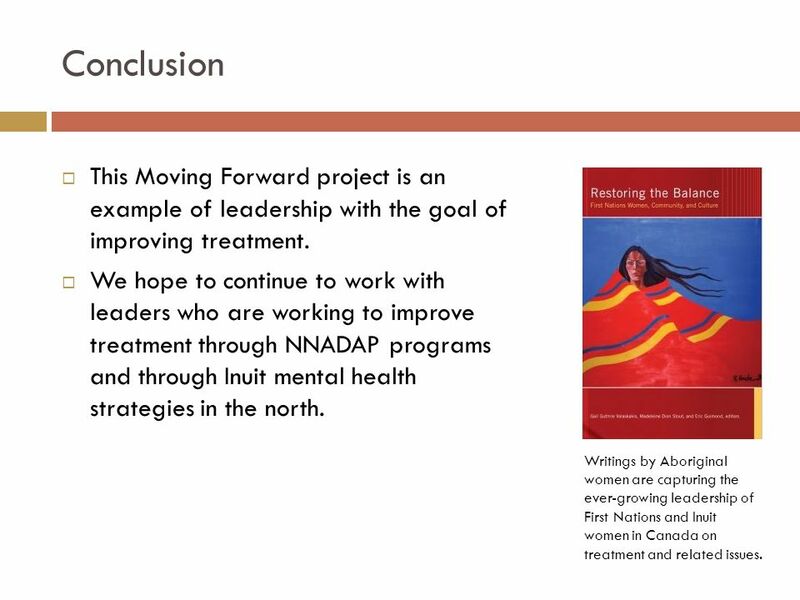 46 Conclusion  This Moving Forward project is an example of leadership with the goal of improving treatment. 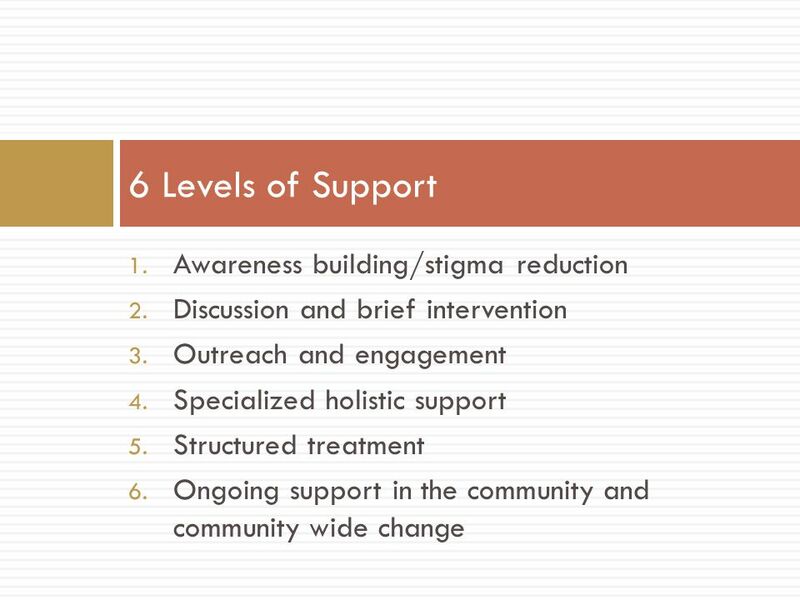  We hope to continue to work with leaders who are working to improve treatment through NNADAP programs and through Inuit mental health strategies in the north. 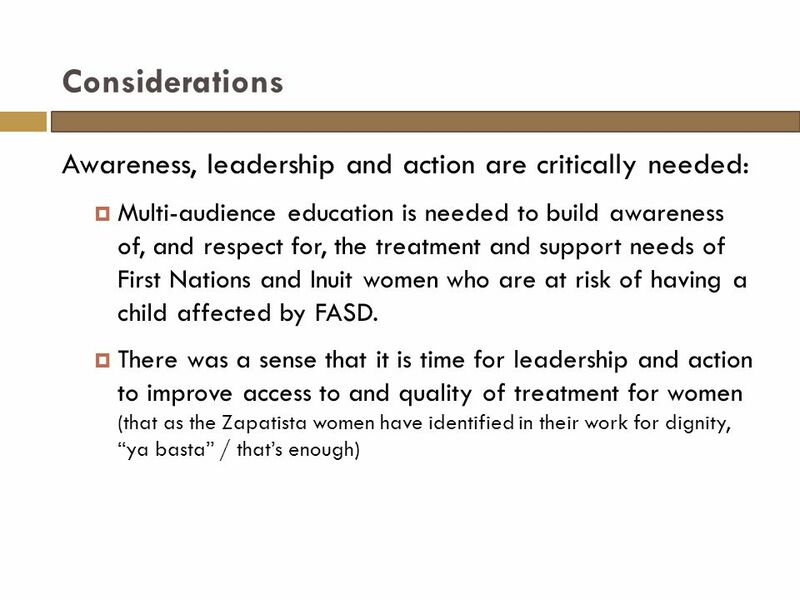 Writings by Aboriginal women are capturing the ever-growing leadership of First Nations and Inuit women in Canada on treatment and related issues. 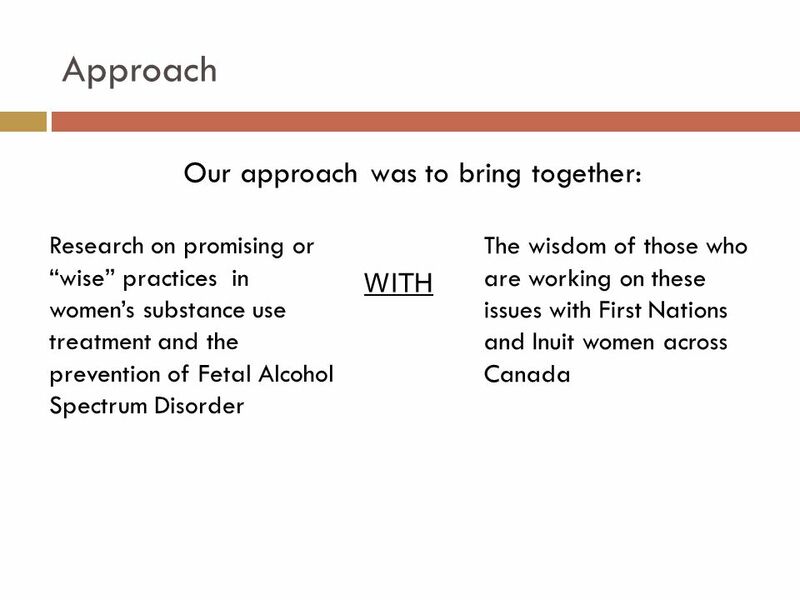 Download ppt "IMPROVING SUBSTANCE USE TREATMENT AND SUPPORT FOR FIRST NATIONS AND INUIT WOMEN IN CANADA Preventing Fetal Alcohol Spectrum Disorder." 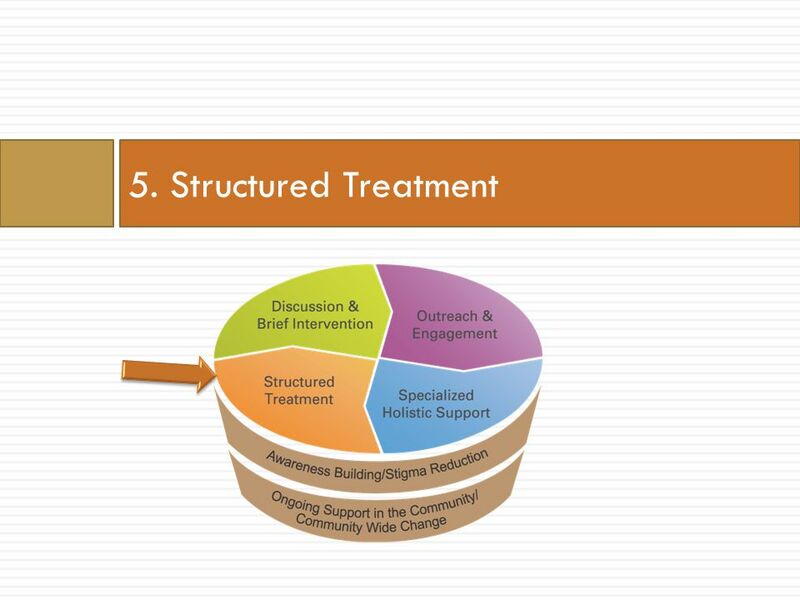 Children, Families & Substance Abuse Impact and Treatment. 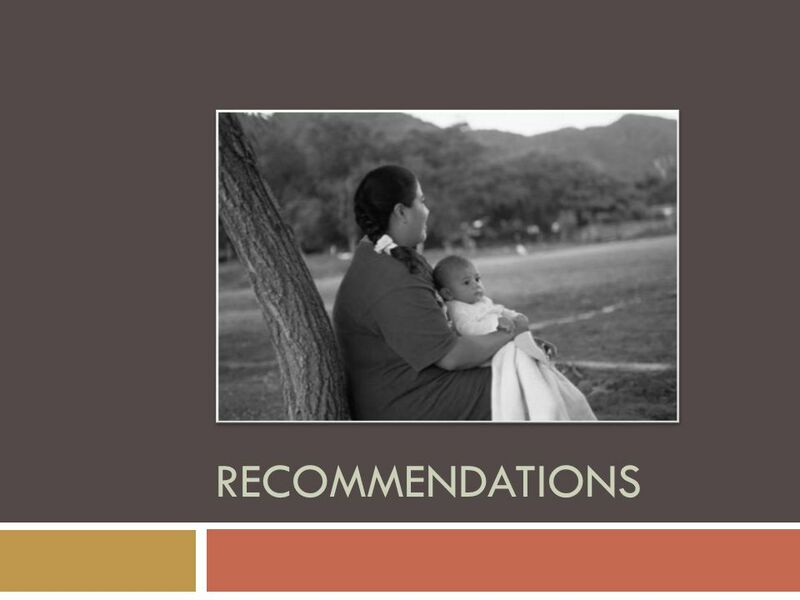 Sports in National Life Art Salmon, Ed.D. 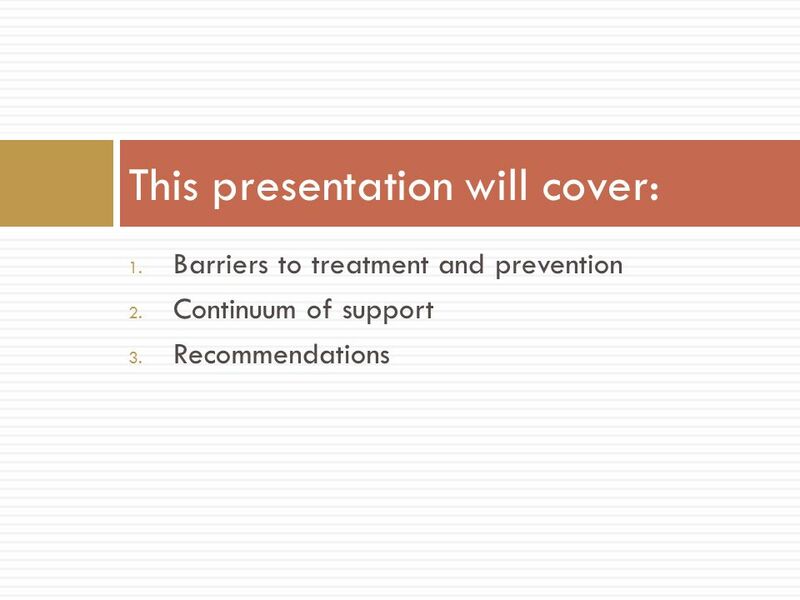 Ontario Ministry of Health Promotion Toronto, Canada. 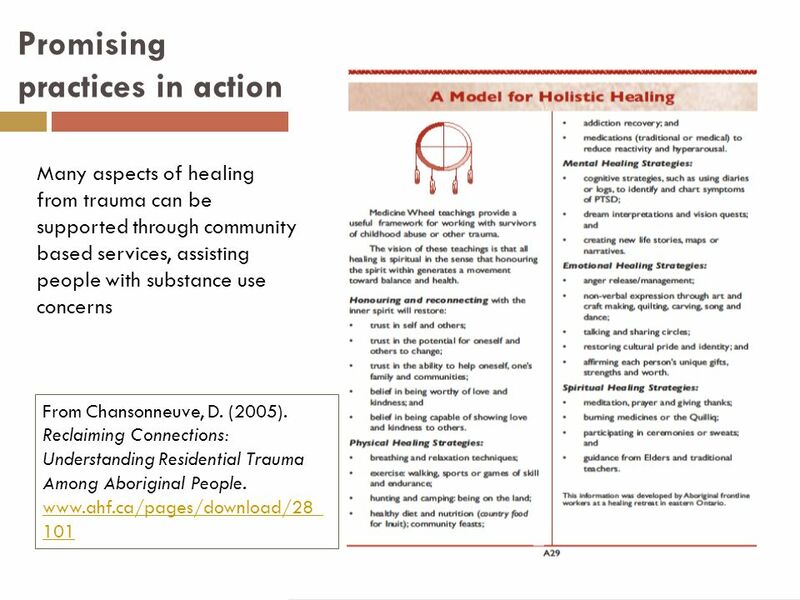 What is HerWay Home? 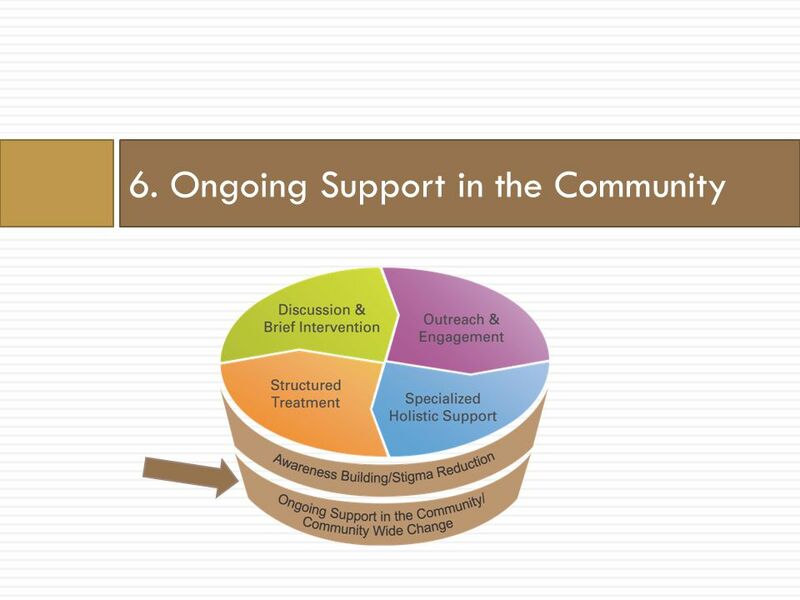 The HerWay Home Program is a recently opened integrated and collaborative health and social care center in Victoria, BC that is focused. 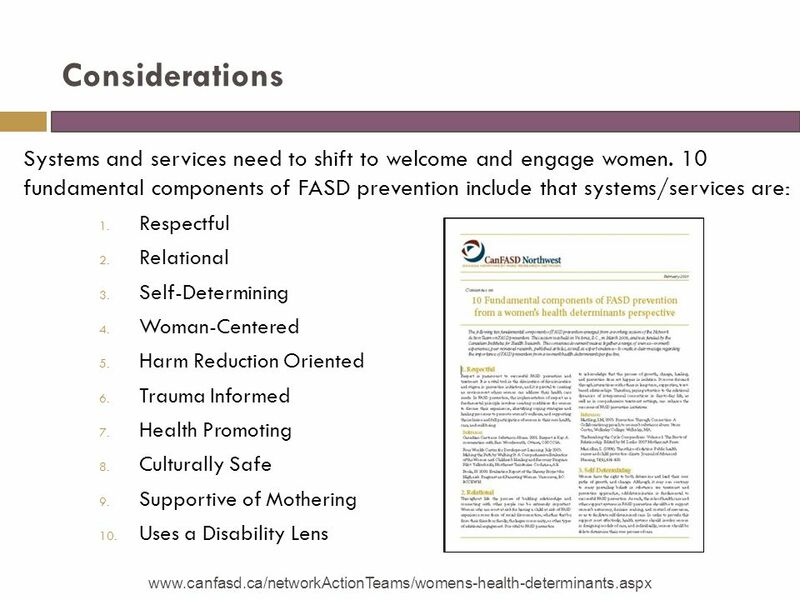 FASD prevention: Making the links to woman abuse, substance use, and mental health Dr. Amy Salmon, Managing Director Canada Northwest FASD Research Network. 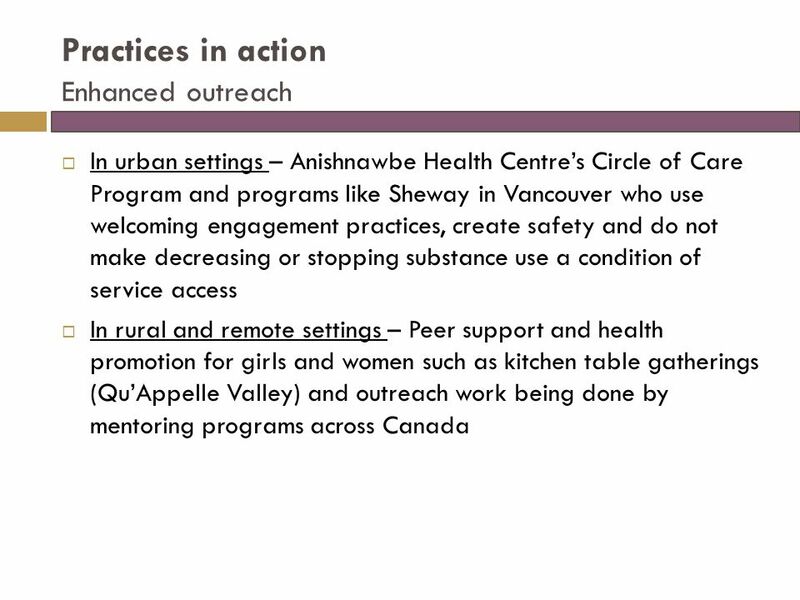 1 Our priorities for the next three years Close Critical Service Gaps Increase availability of culturally appropriate services and serve more children. 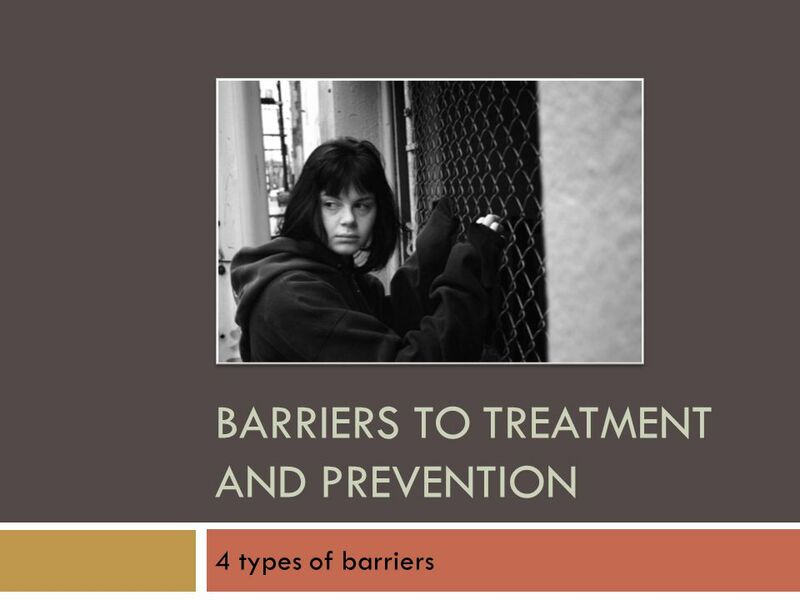 Primary Prevention - is directed at the general population with the goal of stopping neglect from occurring. 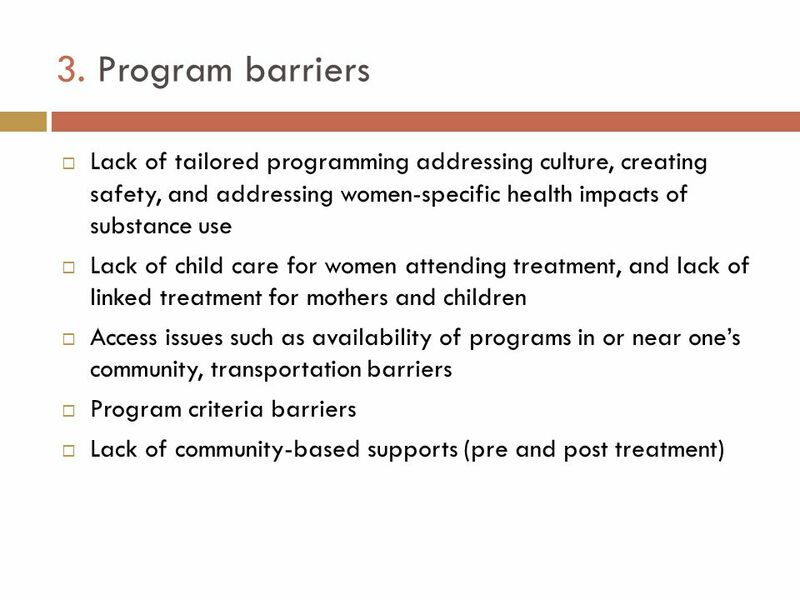 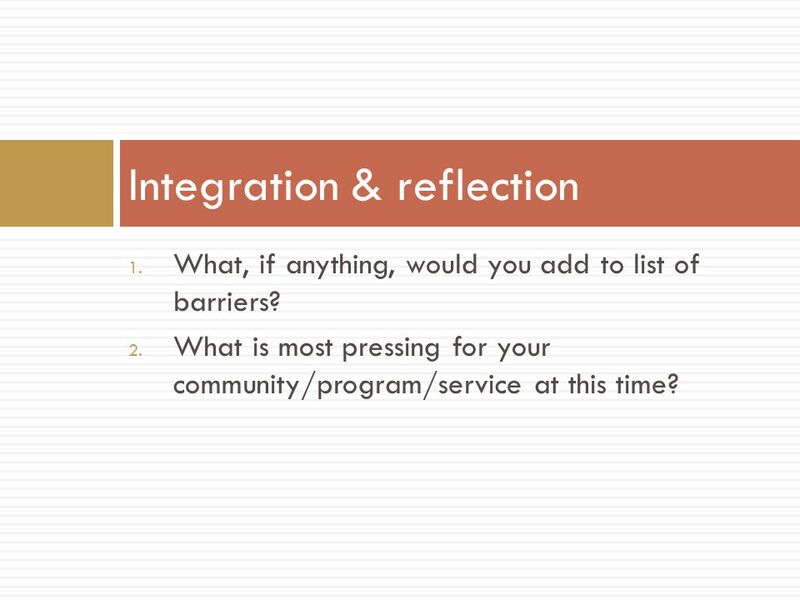 - Gaps & Services/Programs to Address Gaps. 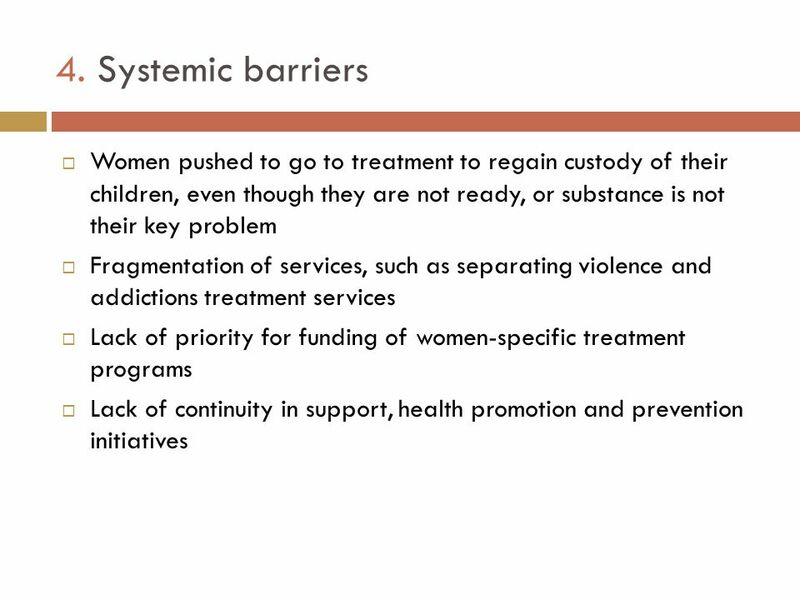 Pregnant Addicted Women: Manitoba’s Experience Dawn Ridd Manitoba Health September 9, 2002. 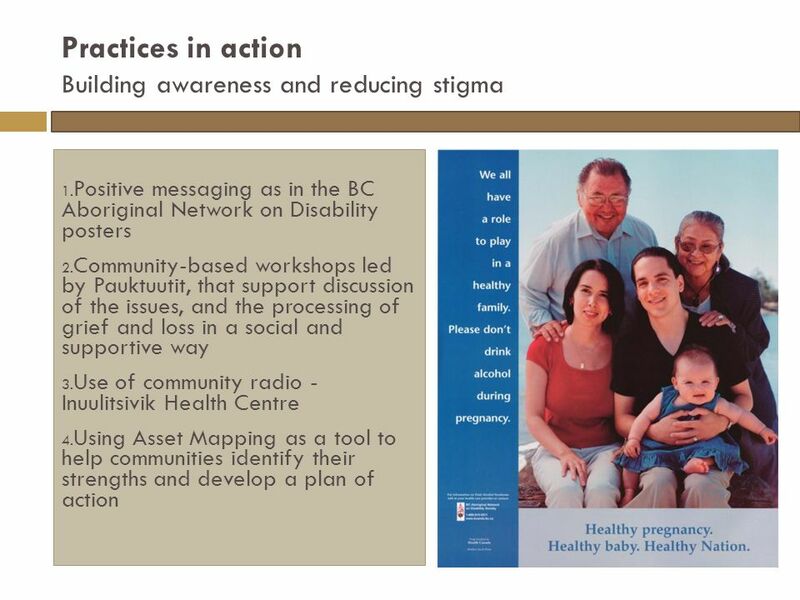 BEYOND ELECTIONS: Youth Involvement in Municipal Governance Presentation to the Union of BC Municipalities Conference Vancouver, British Columbia September.